Go-Jek, Indonesia’s ride-hailing service firm, has received an investment from Google. According to the Mountain View, California-based tech giant the investment is part of the firm’s goal to grow the start-up scene and digital economy of Indonesia. Financial details of the deal were not disclosed. “Go-Jek is led by a strong Indonesian management team … This investment lets us partner with a great local champion in Indonesia’s flourishing startup ecosystem, while also deepening our commitment to Indonesia’s internet economy,” Caesar Sengupta, a Google vice president, said. Earlier in the year reports had surfaced indicated that the internet giant had participated in a fundraising round that netted $1.2 billion for Go-Jek. Others who participated in the fundraising round then include Meituan-Dianping, a Chinese internet firm, and Temasek Holdings, the sovereign wealth fund of Singapore. It was also reported late last year that Go-Jek had purchased three fintech startups with a view to dominated the digital payments sector of Indonesia. Google’s investment in Go-Jek comes in the wake of the internet behemoth officially closing an acqui-hire deal worth $1.1 billion with HTC. The deal will see Google adding over 2,000 smartphone specialists and experts in Taiwan as the online search giant tries to carve a niche in the high-end handset market that is dominated by Apple and Samsung. Google is expected to delve deeper into special-purpose chips and consumer hardware design just like its rivals. The most recent Pixel smartphone features a specially-designed processor which is aimed at improving the camera. According to Rick Osterloh, the hardware chief of the internet giant, more of these custom-made hardware and chips will appear in upcoming Pixel phones. 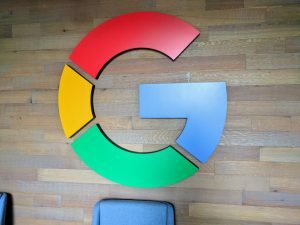 Previously Google’s focus was on software and the tech giant allowed hardware manufacturers such as HTC and Samsung Electronics to handle the hardware. With the designers and engineers who have been brought on board from HTC, Google will now have more control over hardware design and production. This is in light of the fact that modern smartphones which come with advanced features such as augmented reality as well as services that are based on artificial intelligence will require a close integration of hardware and software. The move by Google to design and build more of its hardware in-house is likely to reduce business for suppliers. In the recent past suppliers who have been overly dependent on tech firms such as Apple have suffered when the design of components they used to provide is moved in-house. Shares of Dialog Semiconductor fell for instance when Apple disclosed it would begin designing chips used in power management.